Substrate : Silicon / Germanium / Sapphire / Glass etc. : It is the amount of energy to the total energy out side the band pass. : Band pass shape is defined to the number of cavities in a filter. The more cavity The number of cavities is defined by customer’s requirement about CWL, FWHM, Transmittance, and blocking. 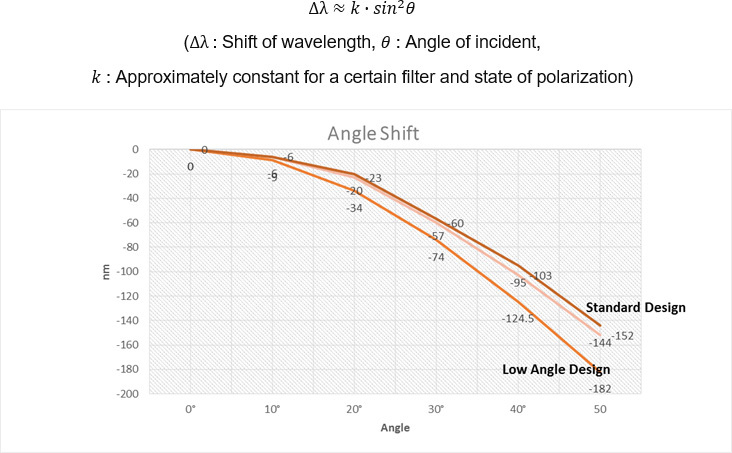 : Thin film interference filters change with incident angle. 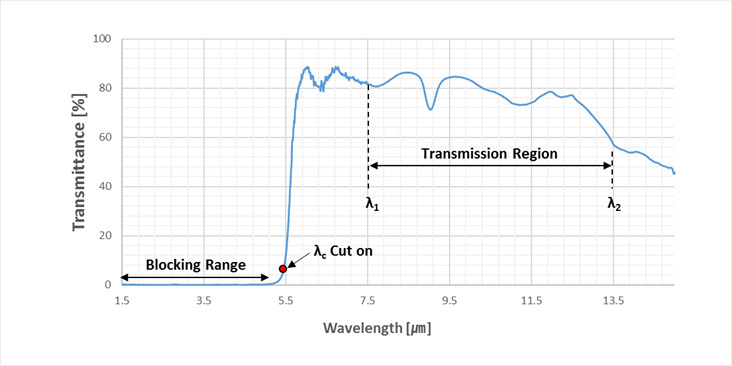 The following equation may be used to define the wavelength at a certain angle of incident. 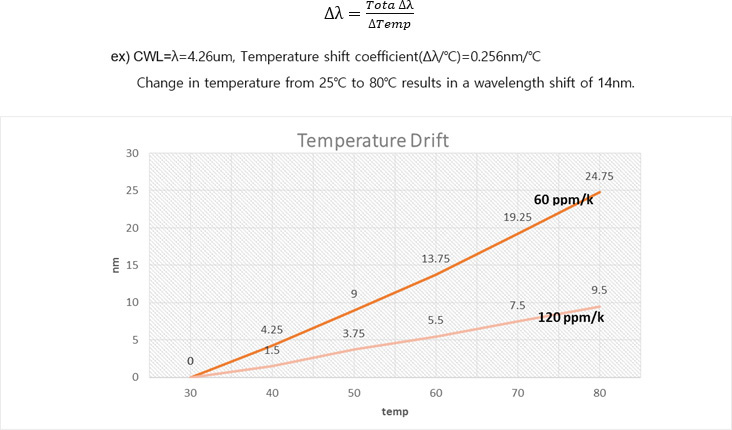 : The center wavelength will shift to a longer wavelength with increasing temperature. 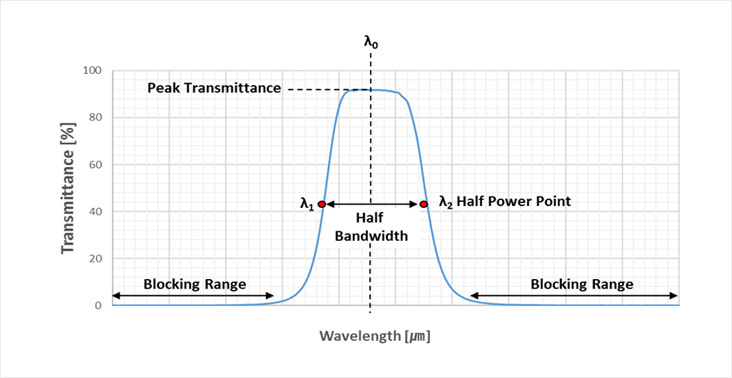 : This is the wavelength at which the edge filter begin(or end) to transmit.